Are you planning to get into kayak fishing this season? Well, Kayak fishing has become more popular than ever and is here to stay. More anglers are choosing kayaks instead of power boats because of their ease of transport, lower cost, shallow water penetration, stealth, launching flexibility, and equipment options. 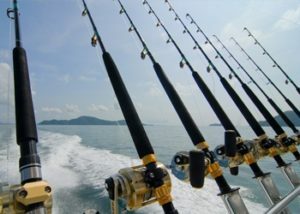 If you are used to fishing while at the stable front deck of a vessel or from the bank, this adjustment may be more difficult. 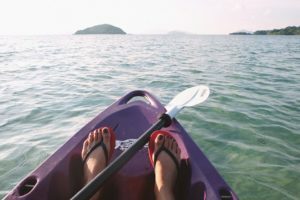 Most kayaks are slightly less stable due to the small area between the water and the sitting surface. 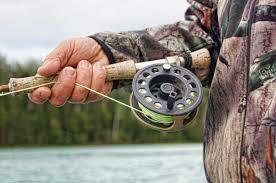 Experienced kayak anglers spend most of their time casting one-handed. You can learn some of these tactics. For example, instead of using the super heavy flipping rod, you can start with lighter combos. Mastering how to handle a paddle with one hand requires skills and extra effort. 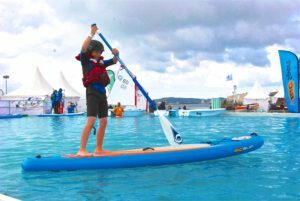 Paddling a kayak with two hands is simple. Even inexperienced anglers can effortlessly handle it. Mastering the one-handed paddle comes in handy when fighting a fish with one hand and at the same time steering your boat. This can also be helpful when trying to avoid a hanging branch or steering your boat in the direction you want it to go. Learn how to lock the shaft of your blade along a forearm, which helps anchor it along with your arm, and enables you to use it as a normal canoe paddle. Baits like crankbaits, chatter baits, and spinnerbaits offer resistance and can help steer your boat. For instance, if you’re angling a crankbait from a light kayak, you will realize that the resistance is pulling your vessel in the direction you’re casting. This can help you to subtly adjust your vessel’s position when trying to cast it in a specific direction. 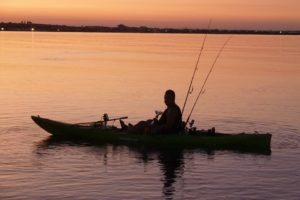 Experienced kayak anglers have learned to use their feet while fishing. Your feet can be used as rudders and anchors when fishing laydowns, riprap, and other shallow areas. as a fisherman, you need to be aware of what’s trending. This will help you develop your skills. check the weather report before getting into kayak fishing. Learn about the fog, lightning, wind, and rain. When crossing large waterways, estimate how much time you’ll take to avoid colliding with oncoming vessels cruising at high speeds. You may also encounter tanker ships on rivers. So you need to be aware of these massive ships. Learn to paddle towards the waves with much momentum to punch easily through. Avoid traveling parallel to the waves as your boat risks capsizing. Fishing-specific PFD – This life jacket is designed to offer safety and a variety of storage options. They have extra pockets to hold fishing accessories like pliers and tackle. Anchor system – The full setup includes the anchor and the trolley. It makes anchoring quick and easy thus saves you time. Fishing paddle – It has a built-in ruler and hooks retrieval notch. This will save your lures from dead trees. Fishfinder – They will help you learn about the land beneath and the area fish school up. Tackle crate – They keep gears directly behind the seat and prevent them from sliding. When buying kayaks, make sure the size of the paddle accounts for your height. Consider the width of your boat and the paddle style whether high or low. Your kayak dealer will advise you on those three variables. Kayaks come in different colors both bright and dull. Consider using a brightly colored kayak when fishing on the water where fast-moving powerboats crisscross. Your kayak should be accessory friendly. Make sure it has enough space for utility tracks to attach fishfinders, camera mounts, rod holders, cup holders, and other accessories that will make your kayak fishing more enjoyable.